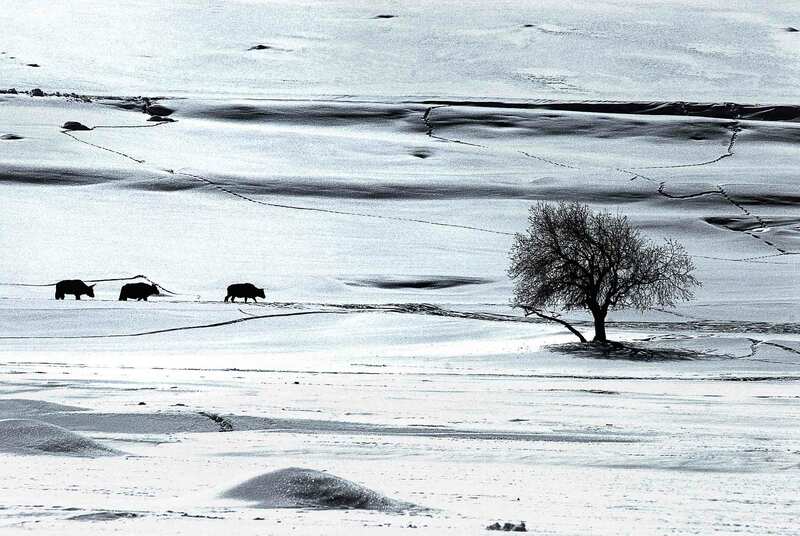 Sankar Sridhar is a photographer and travel writer best known for his evocative landscapes and insightful and sensitive documentation of the pastoral and tribal communities of India. 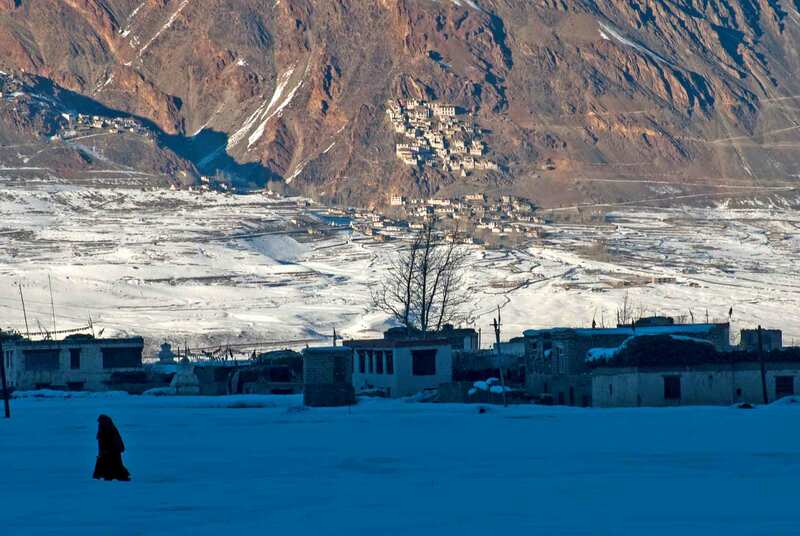 Sridhar has shared his experience of travelling across the Indian Himalayas at the Mussourie Writers' Festival and at events organised by the IMF-Delhi edition. He has also been on the panel of Outlook Travellers Awards. 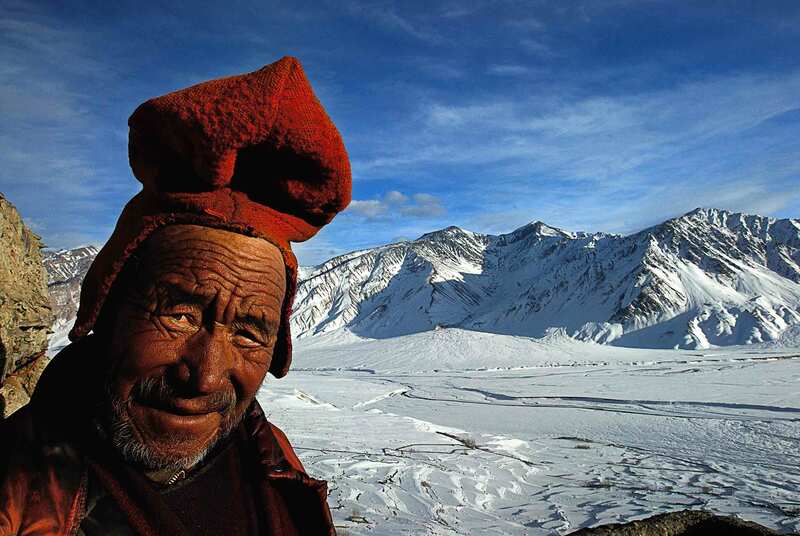 His photographs have won several awards and honour mentions, including the Humanity Grand Photo Awards, International Mountain Summit, Banff Mountain Photography Awards, Siena International Photography Awards, and the IPA. 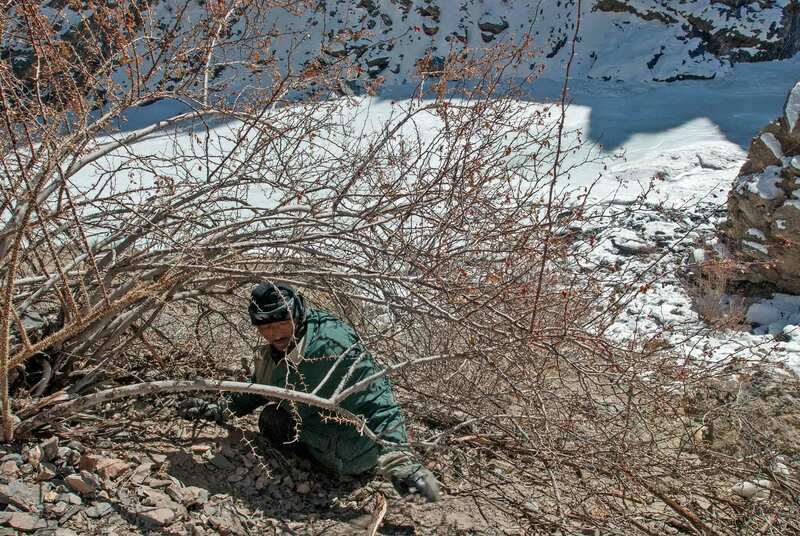 His images and articles have been published in magazines and newspapers, including Geographical, Action Asia, Geo, National Geographic Traveller India, Outlook Traveller, Daily Mail and Mint, and graced the calendars of brands such as Nikon International and WWF India. 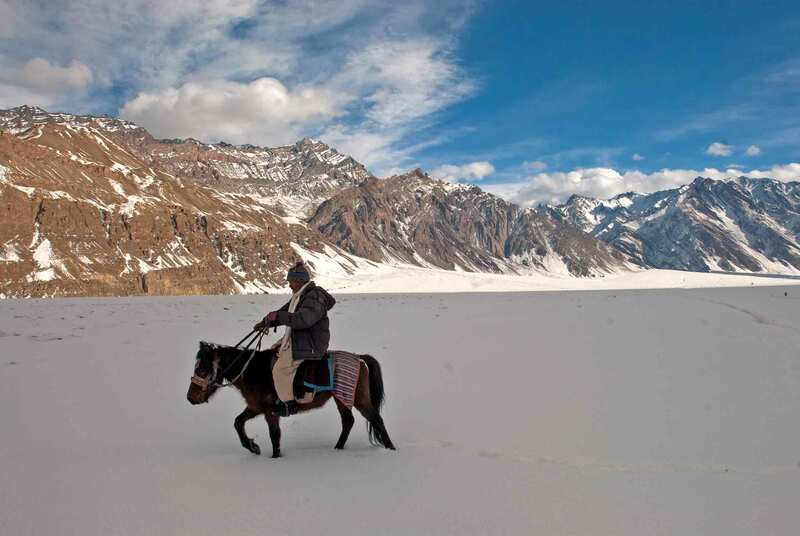 Tundup Wangail still remembers the first time he set foot on the frozen Zanskar river 40 years ago, as a five-year-old. 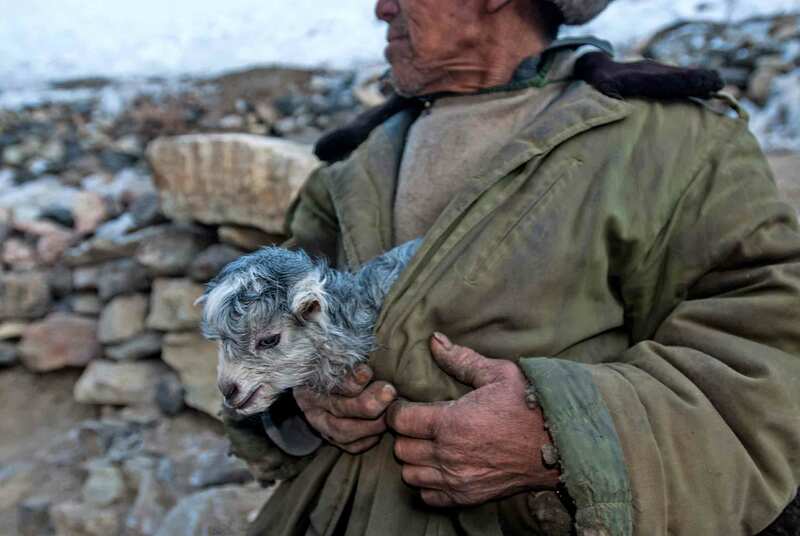 He was shivering in the sub-zero temperature, but his father taught him that the cold was their ally. 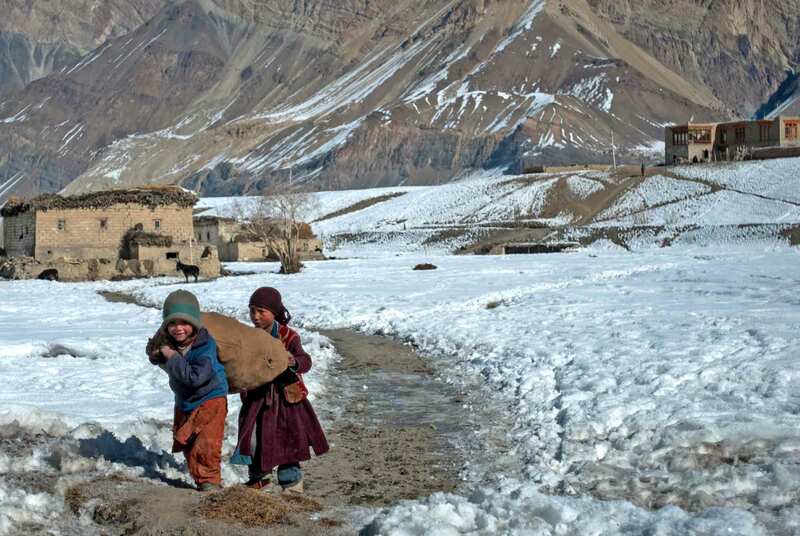 Zanskar—a remote valley in Jammu and Kashmir that remains cut off from the world for five months each year—had no roads then. 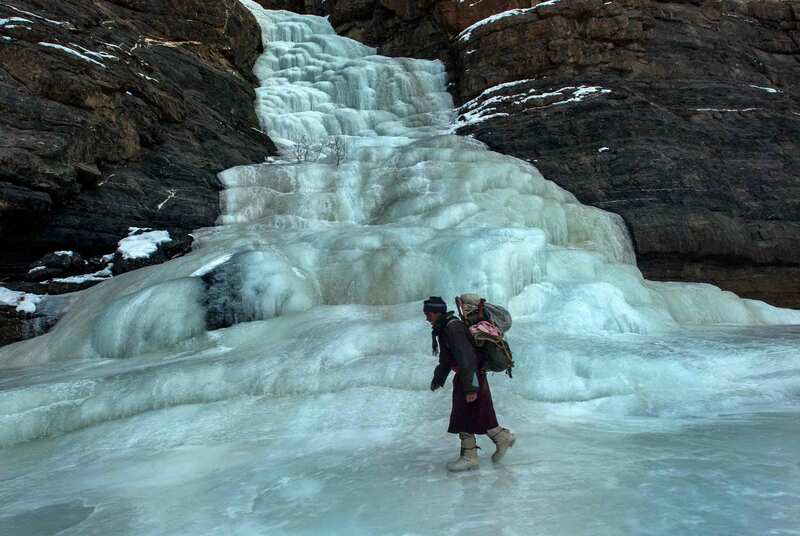 Only the eponymous frozen river offered them a lifeline to reach Leh, Ladakh’s capital, to sell their goatskin, yak butter and copper utensils, and return with stocks of rations that would help them survive the freezing winter. 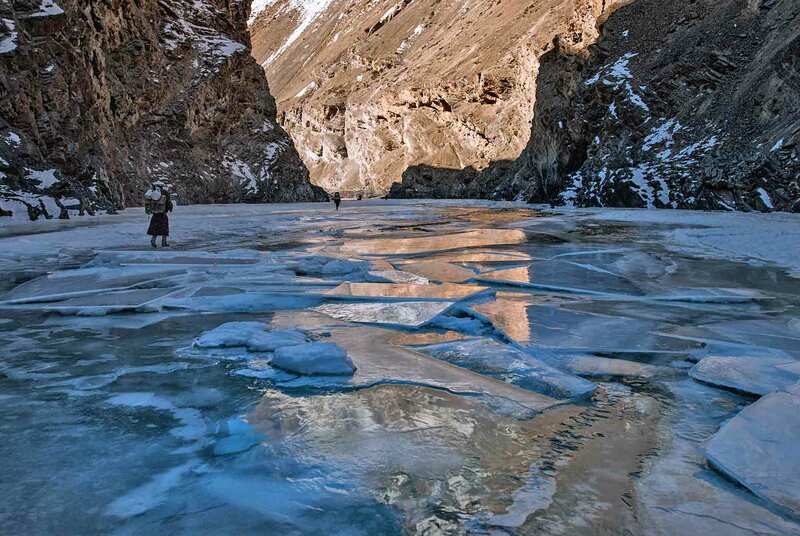 Fast forward to present times, Zanskaris still walk more than 100 km on the frozen Zanskar river to reach Leh. 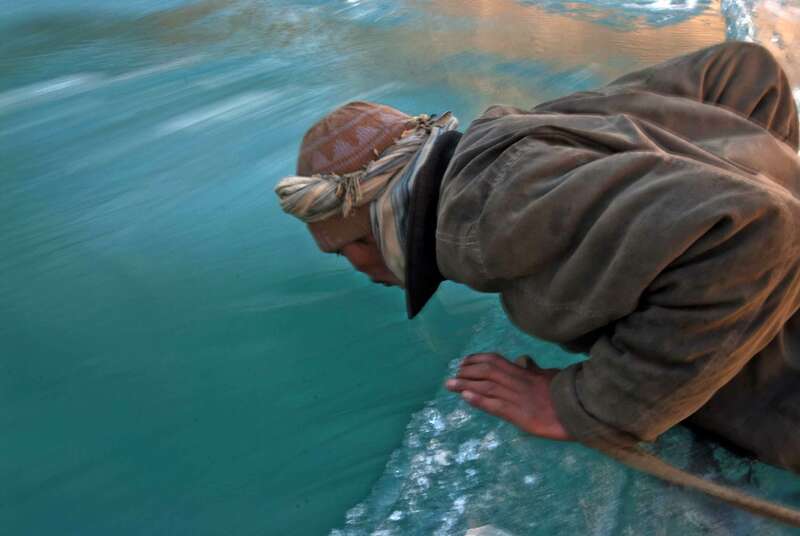 But looks, Tundup told me, can be deceptive, just like the Zanskar river. 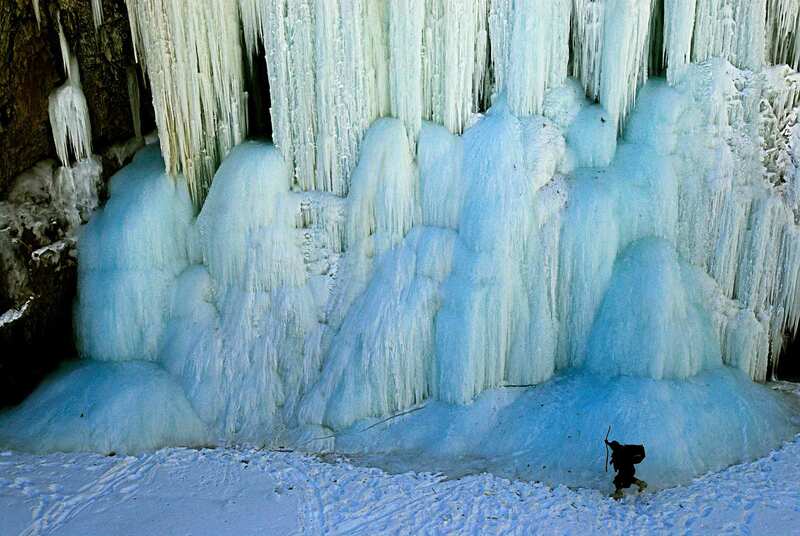 The sheath of ice that gives the river a spuriously frozen look, like a white chadar (blanket), is really an illusion. 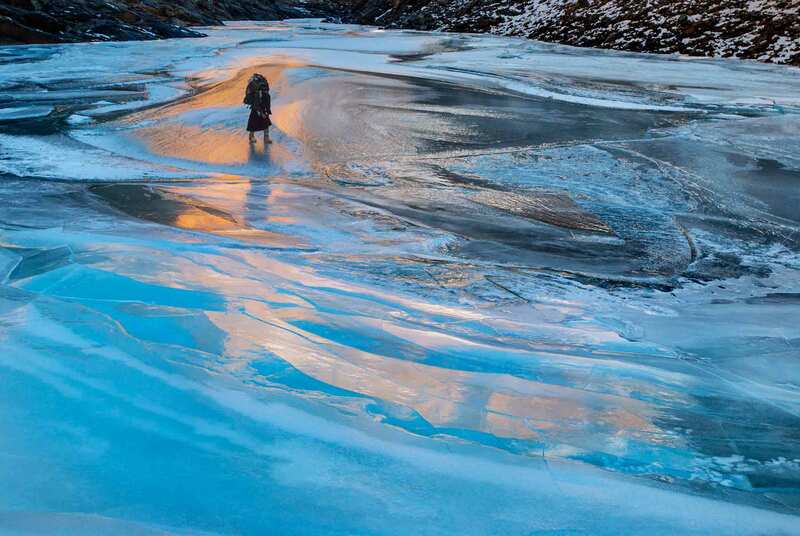 Below the blanket of ice, even in peak winter, the river continues to flow, a metaphor for the undercurrent of changes the region is witnessing. 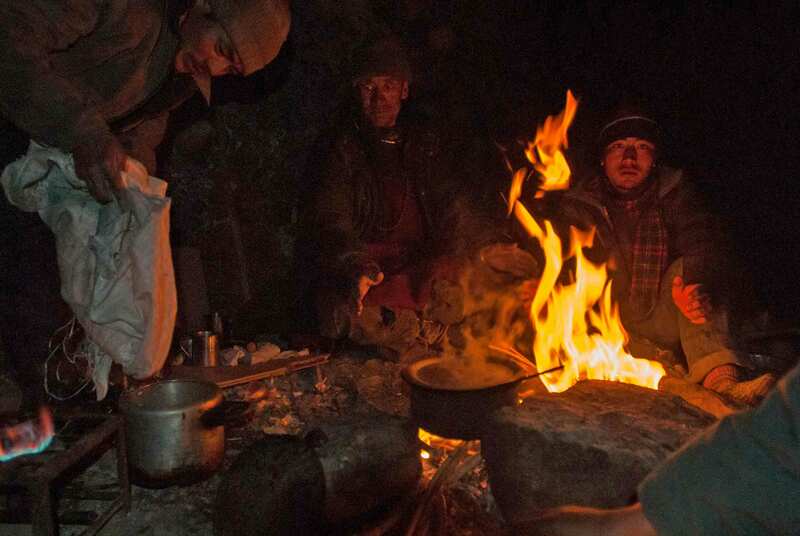 ‘Documentaries on the Chadar trek and our winter lifestyle changed everything,’ Tundup says, referring to the 2011 BBC documentary 'Human Planet', which thrust this ‘well-kept secret route’ into the global spotlight. 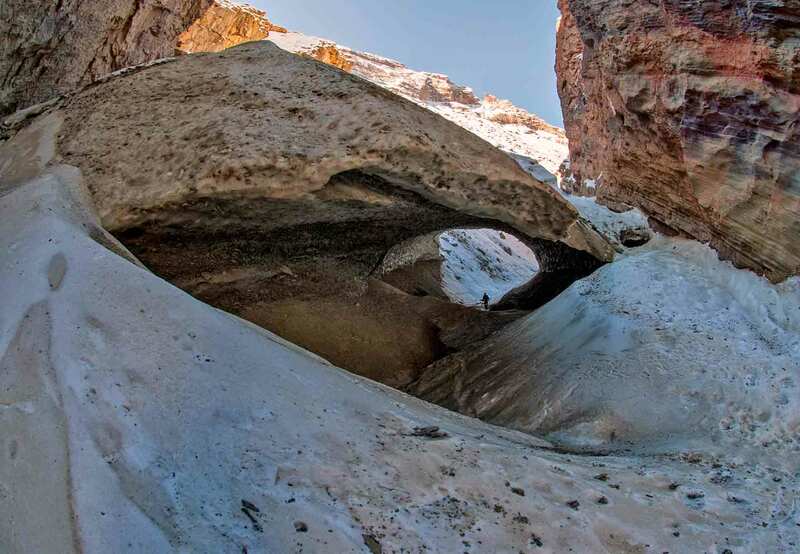 What was once a sacred crossing for the Zanskaris, was hyperbollically marketed as the ‘world’s wildest trek’, conjuring untamed landscapes of dramatic gorges dotted with frozen waterfalls and sheets of frozen ice reflecting the sky like a mirror. 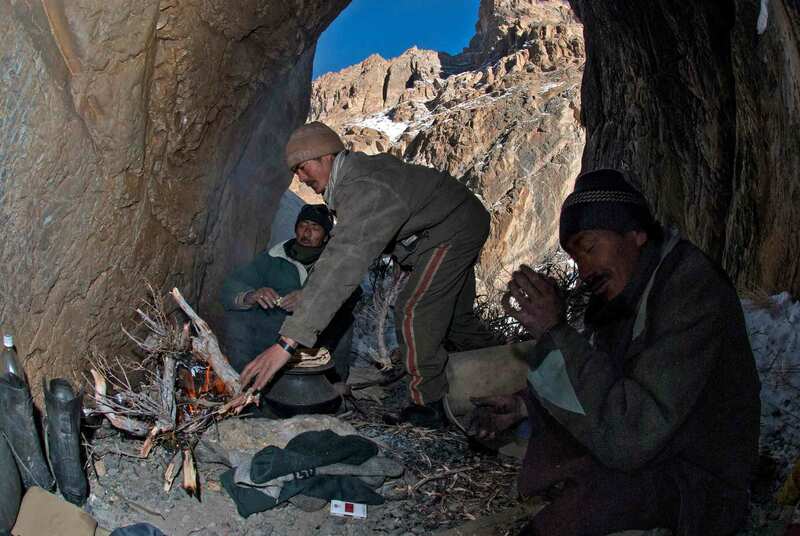 The ever-present danger of the ice giving way and the thrill of sleeping in caves hewn by erosion brought trekkers from India and around the world to Zanskar for a must-do adventure. 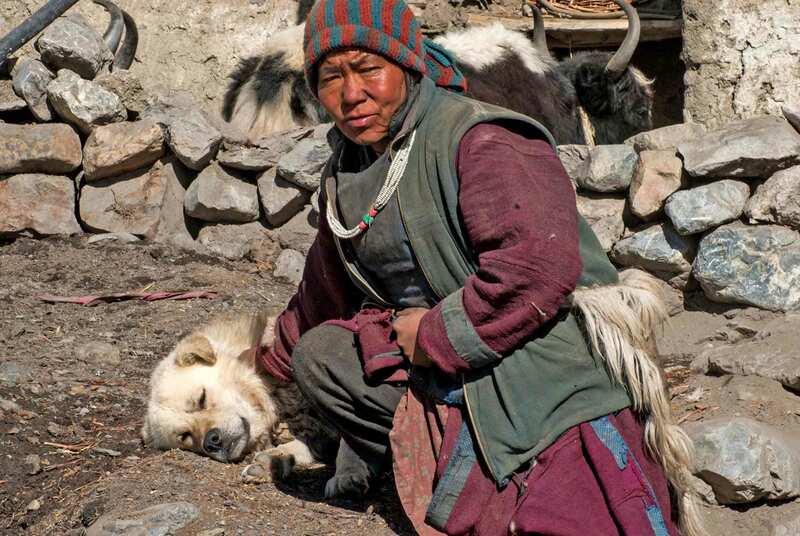 The Chadar trek is not only a threat to the local environment, but also takes a heavy toll on non-local trekkers. 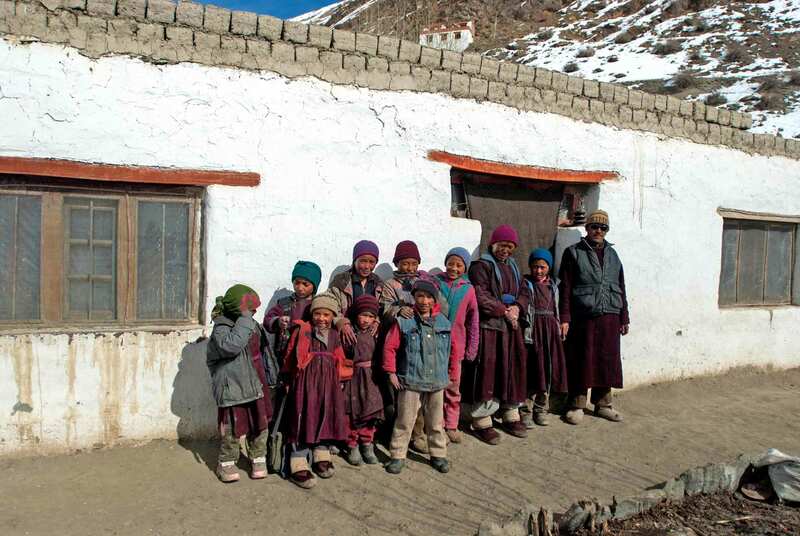 The trek was originally a seasonal migration route, undertaken by the sturdy Changpa, Dard and Mon people. 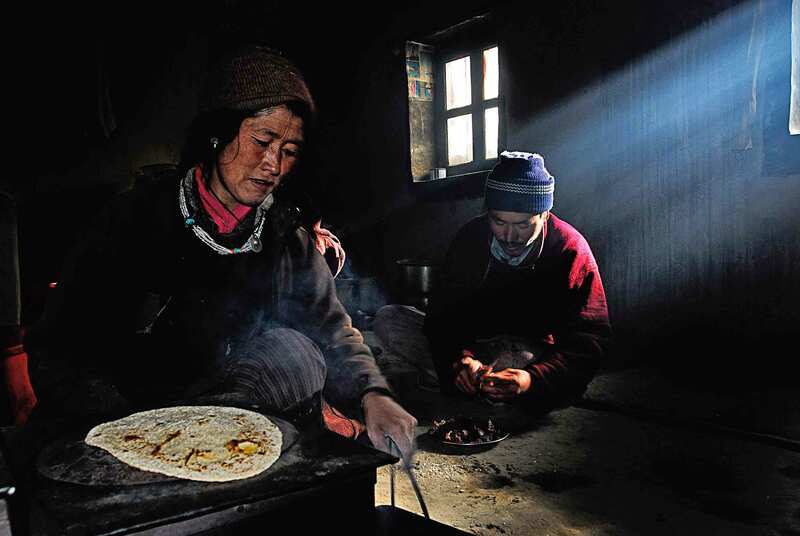 Used to living in the region for generations, they were accustomed to the tough life in the unforgiving cold and were genetically resistant to altitude sickness. 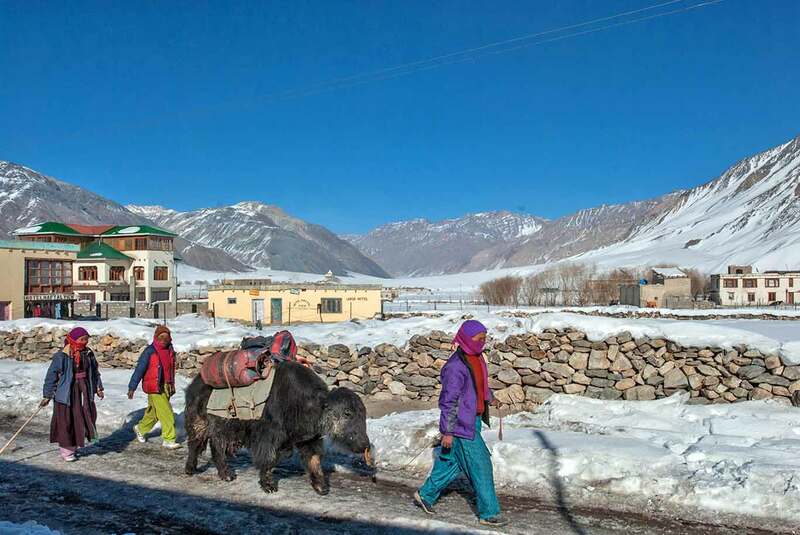 These hardy locals now act as guides and porters, struggling to navigate physically unfit city dwellers through a hostile alien environment. 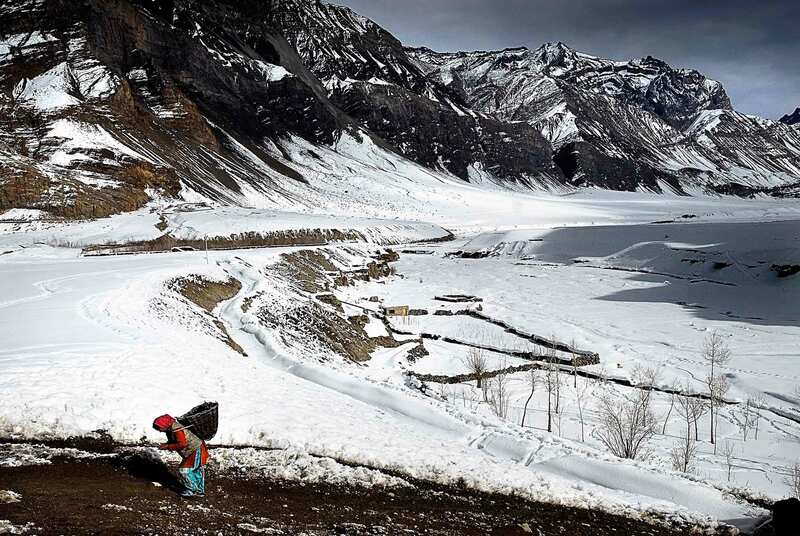 Jet-setting tourists with money bags fly straight into Leh and head for the trek which are pre-arranged by agencies providing all necessary equipment, food, guides and transport. 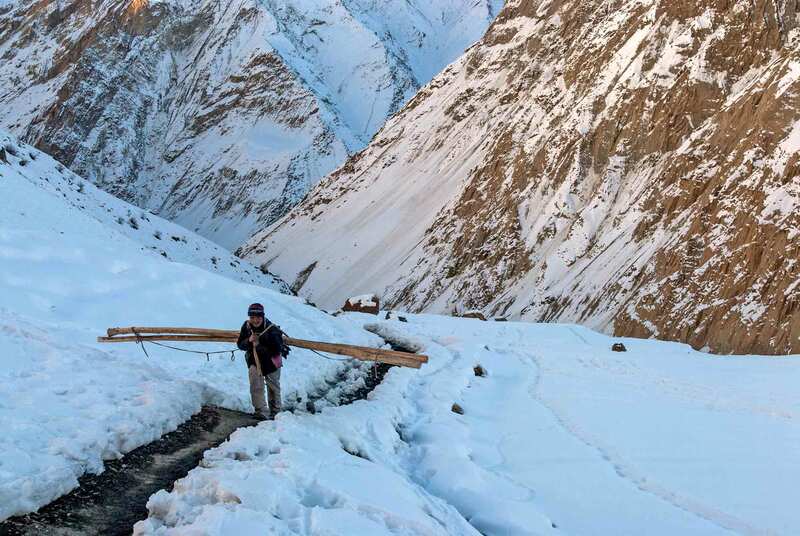 Most tourists are amateurs and thrill seekers, paying no heed to high-altitude acclimatisation, without having any previous trekking experience or necessary fitness level. 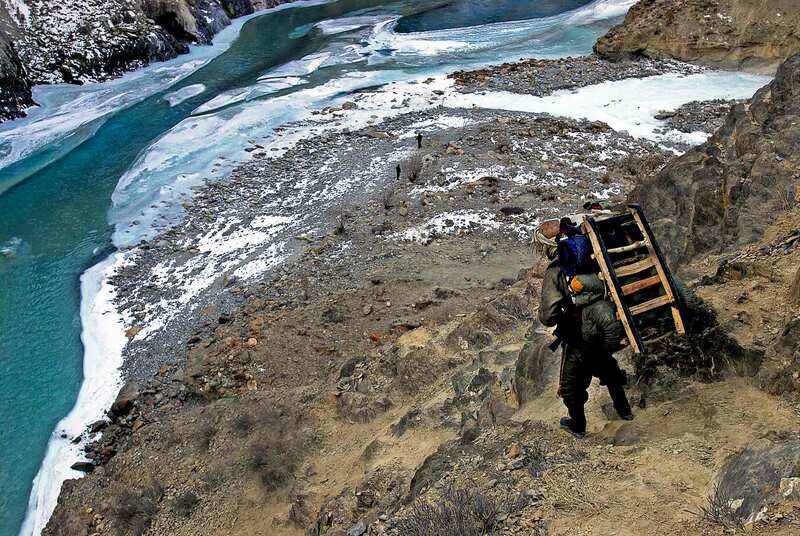 This leads to accidents and medical emergencies, and stranded adventurers are regularly evacuated by the military. Adding to health concerns are the vagaries of turbulent weather. 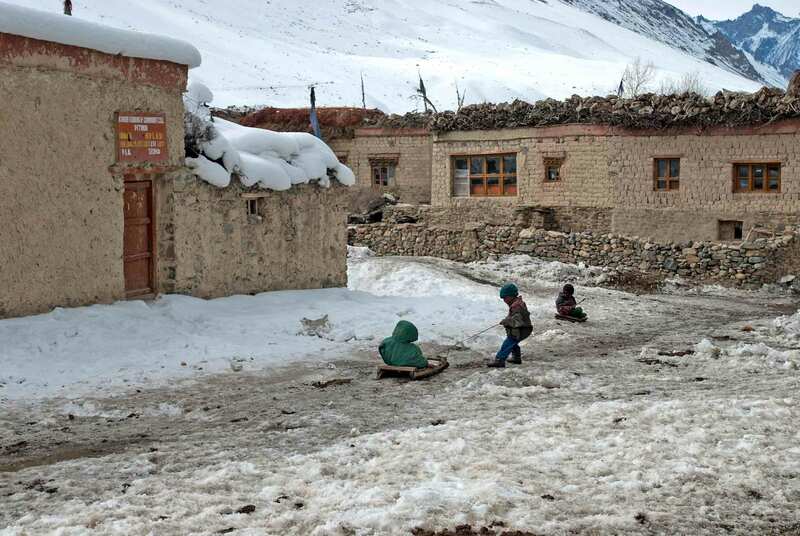 What many visitors to this region do not realise is the extreme unpredictability of weather, which can change dramatically in short duration and has a direct influence on terrain. 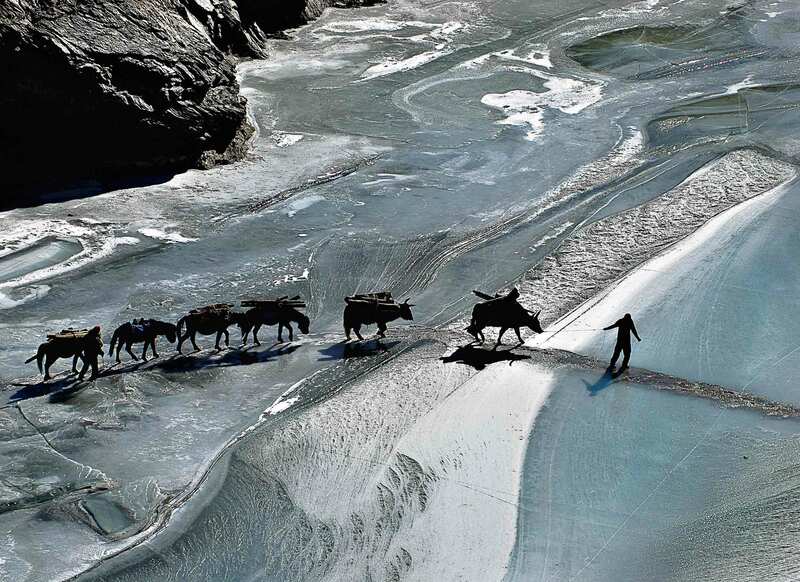 Recently, in 2015, a massive landslide on the Tsarap Chu, a tributary of the Zanskar river, forced the cancellation of all treks. Tundup, too, is worried about these developments. 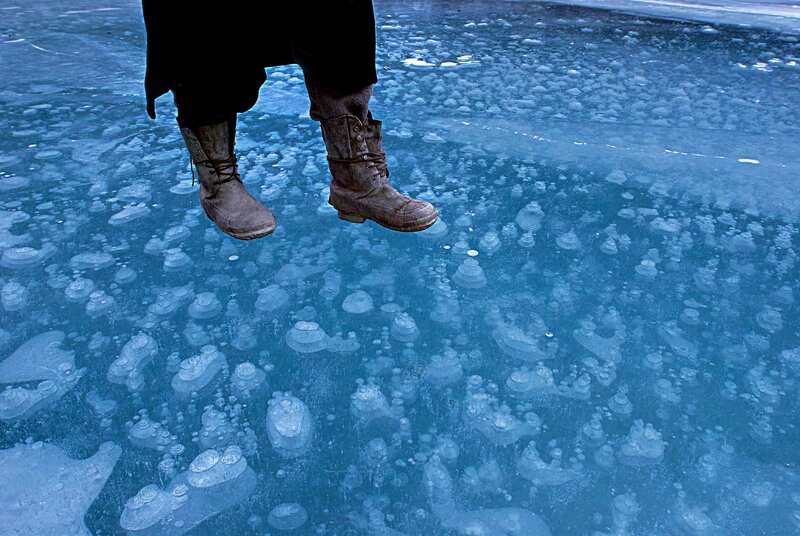 ‘When bragging rights replace respect, bad things happen,’ he said, ‘None of our children know how to judge the trustiness of ice by its colour, or the tap-tap of sticks on it.’ But his despair lay elsewhere. 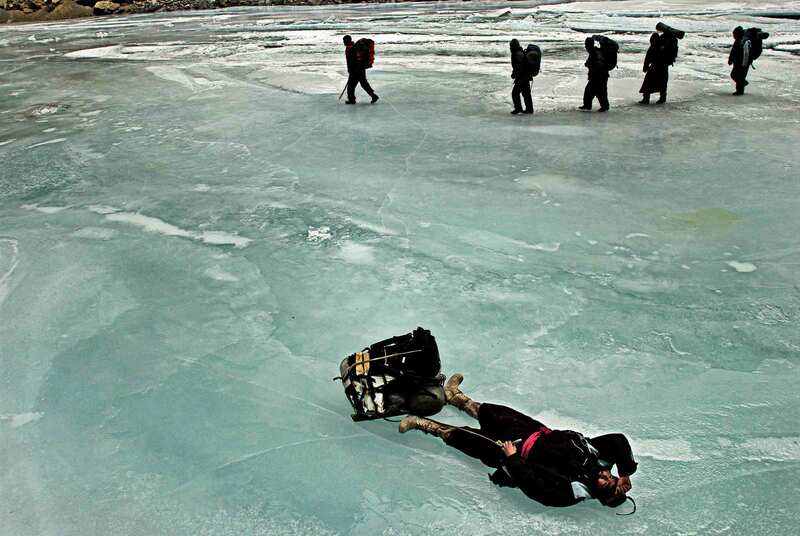 He tells the story of a monk who angered the spirits by relieving himself on the ice. 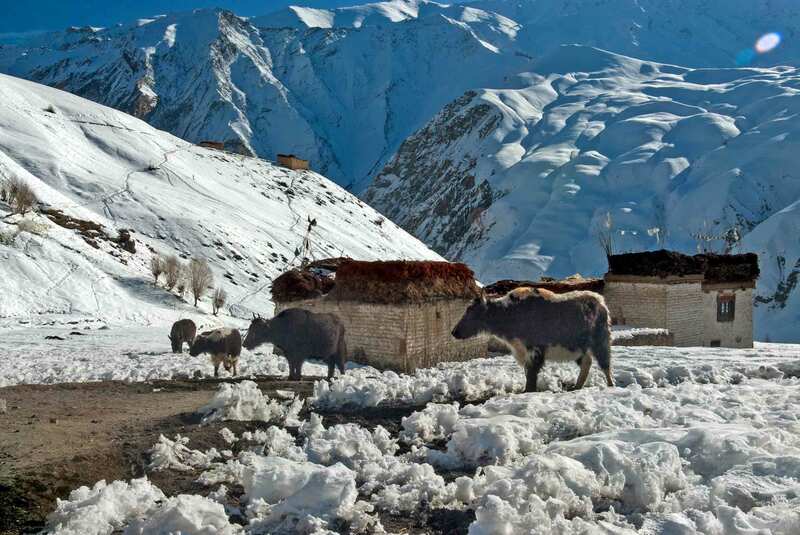 Such tales and the morals they came wrapped in have stood generations of Zanskaris in good stead on this frozen highway, where resources are scarce and death lurks at every step. Not bothered about angered spirits, porters and hordes of tourists think little before littering the ice, or even relieving themselves on it. 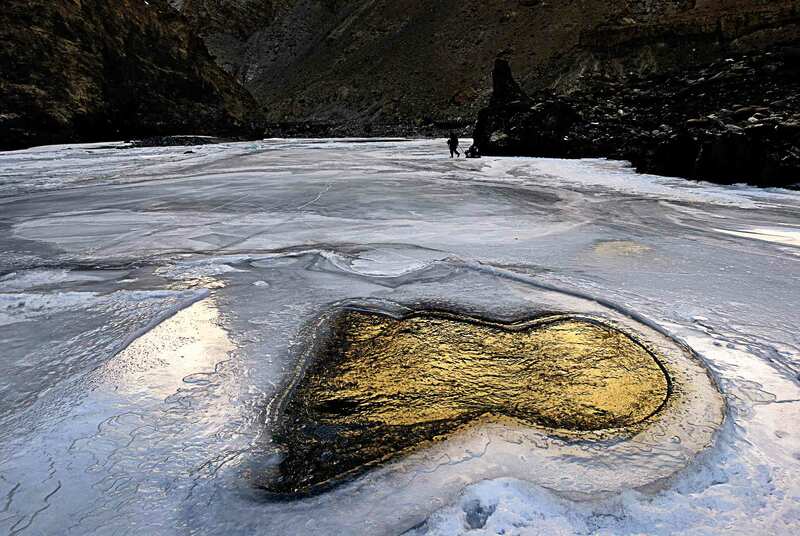 With changing global temperatures, increase in tourism and opening of new roads, the Chadar trek may not survive unless drastic steps are taken to limit the environmental impact it creates. 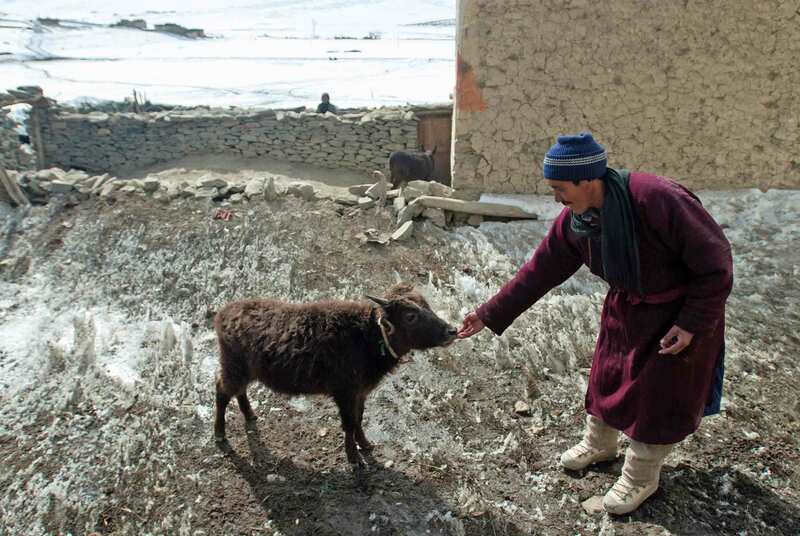 Even as the Chadar has turned Zanskar valley into a money spinner, no one should forget the best-known tale of the spirits who were angered, their peace disturbed by callous humans. But this time the spirits might not just be angry, they might just pack and leave, never to return again.